Hyundai has unveiled the Hyundai Le Fil Rouge concept at the 2018 Geneva Motor Show. The new concept is a design study from the South Korean automaker. The Hyundai Le Fil Rouge debuts Hyundai’s new design direction under the theme ‘Sensuous Sportiness’. The Hyundai Le Fil Rouge debuts Hyundai’s new design direction under the theme ‘Sensuous Sportiness’. 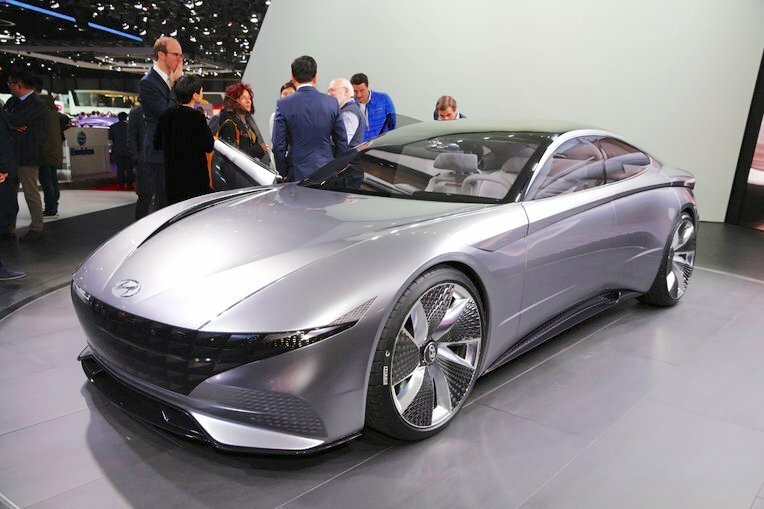 This concept will influence the design of all future Hyundai models, including sedans and SUVs. Hyundai focuses on four elements under the new theme: proportions, architecture, styling and technology. At the front, the Hyundai Le Fil Rouge emphasizes the car’s elegance and class with a massive, next-gen Cascading Grille with a 3D treatment. The new front grille features parametric jewels inside. Strong corners of the bumper and the sharp lower air intake reflect the powerful character of the concept. On the sides, the low-slung body makes the Hyundai Le Fil Rouge look very sporty. Large wheels, sharp creases, pronounced shoulders and a rising beltline and a dropping roofline together creating a sleek greenhouse are the key design elements. At the rear, the 4-door coupe features a large back glass, a gloss black upper portion with integrated lights, a crease line continuing in a rising position from the sides and a gloss black bumper with a diffuser-like lower end. 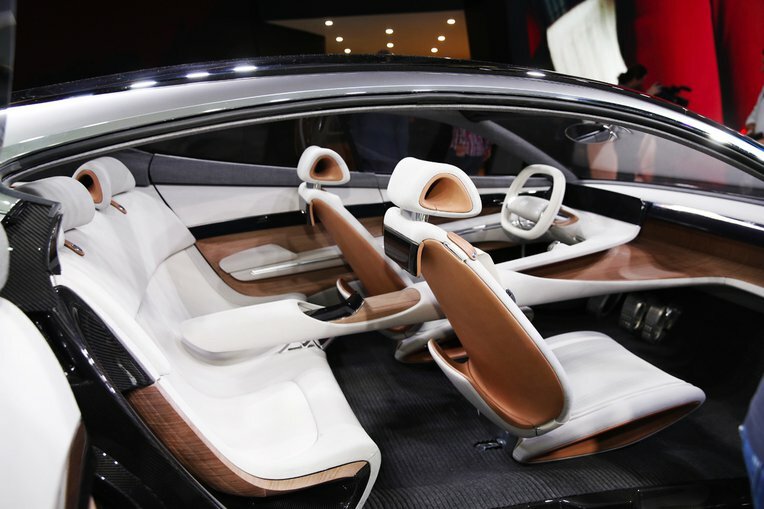 The interior of the Hyundai Le Fir Rouge concept has a very clean and urbane design. The ample usage of light-colour wood blends perfectly with the serene theme set by the white upholstery. Other highlights include a squarish two-spoke steering wheel, front seats with an integrated rear-seat entertainment display on the back, full-length centre console and a panoramic floating display coupled with haptic technology in the front, for controlling the climate control system and other vehicle configurations. All future Hyundai models will follow the design direction previewed by the Hyundai Le Fil Rouge concept. Hyundai has not commented on putting the Hyundai Le Fil Rouge concept into production.